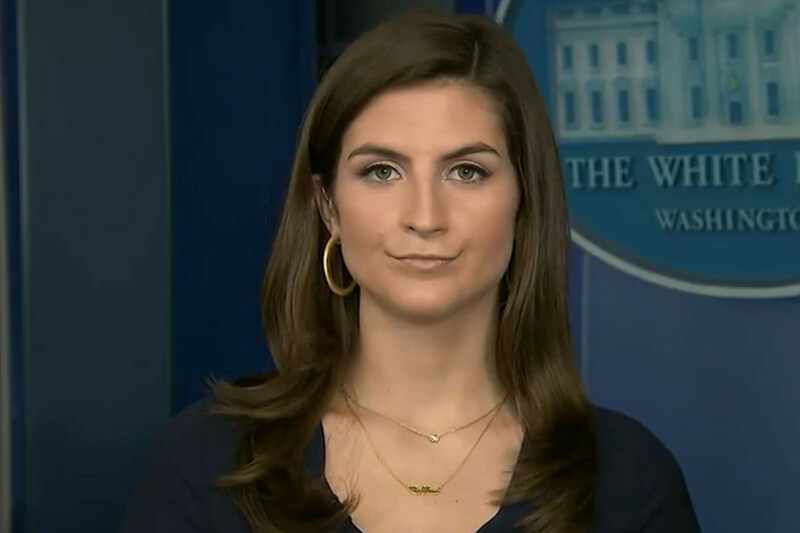 CNN White House correspondent Kaitlan Collins was serving as the pool reporter on Wednesday when she attempted to ask President Donald Trump about Michael Cohen and President Vladimir Putin of Russia. Not only did Trump not respond to her questions, but his team subsequently banned her from a press event that occurred afterwards. According to Collins’ account, Bill Shine, the White House deputy chief of staff overseeing communications (and formerly a top Fox News executive) and Sarah Huckabee Sanders informed she was not permitted to attend the event. “They said that the questions I asked were inappropriate for that venue. And they said I was shouting,” she explained. According to CNN, Shine and Sanders claimed that they weren’t banning the entire network, just her. “Your photographers can still come. Your producers can still come. But you are not invited,” Collins remembered the pair saying. In response, CNN released a statement saying they were disappointed with the Trump administration and its decision to ban one of their reporters from an “open press event,” The New York Post notes.